Leonora “Lottie” Daskawicz (nee Rydzenski), 95, passed away peacefully Sunday, October 20, 2013. She was born, January 1, 1918 in New York City and has been a resident of Peachtree City, Ga. since August 2010. She was a loving and devoted wife, mother and grandmother. She was predeceased by her husband of 50 years, Peter and her daughter, Carolyn Snyder. She is survived by her daughters, Jean (Marty) Guinup and Lorraine (Joseph) Conant and son-in-law, Jim Snyder. She is also survived by 8 grandchildren, 10 great grandchildren and 4 great great grandchildren. David Charles Murphy, Sr., 62, passed away October 20, 2013. He was a 1969 graduate of Sylvan Hills High School and received a degree at University of Georgia in psychology. He retired as senior vice president with 20+ years at Gate Gourmet. He recently relocated from Fayetteville to his dream home in the mountains of North Georgia. Robin Higgins, 57, of Fayetteville, passed away October 13, 2013. She was preceded in death by her husband Perry Higgins; brother Brant Adams and niece Mandy Lovett. She is survived by her parents Lawrence and Emily Adams of Fayetteville; sisters Kristi Lovett and her husband Gary of Fayetteville and Paige Adams of Fayetteville; niece Brittany Brooks and her husband Keith of Senoia; nephew Cory Adams of Fayetteville; aunt Kathleen Garner of Fayetteville and several cousins. It’s all for play isn’t it when the French Minister of the Interior Manuel Valls summons the US Ambassador? It’s just for the newspeak and the media on the advice of his spin-doctor to swivel the French public around so much that they won’t know what’s hit them. The National Security Agency will hardly be quaking in its eavesdropping boots since they probably got wind of it long before Valls had even picked up the phone. Anyhow, what will come of it all. The NSA is hardly going to either back down or come clean, is it? The French newspaper Le Monde has published an article today in which it reveals that Edward Snowden has provided the proof that there was a massive-scale program carried out between December 2012 and January 2013in which not only suspected terrorists were being listened in on but also members of industry and politicians as well as the general public. There were 70.3 million calls that were recorded during that period. 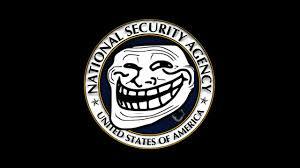 Apparently by simply dialing certain numbers the NSA was triggered and the calls were listened into. The codename of the operation was US-985D. It also covered text messages that were sent and not just voice communication. The US has declined to make a comment so far on this matter and has simply referred media to a statement that was issued by the NSA in June regarding the surveillance of foreign countries. It was restated today that the practices “are lawful and conducted under authorities widely known and discussed, and fully debated and authorized by Congress. Their purpose is to obtain foreign intelligence information, including information necessary to thwart terrorist and cyber-attacks against the United States and its allies”. So, the US has been listening in on French politicians to thwart terrorist attacks on those very same allies. Ah! Gotcha! It’s a homegrown version of terrorism yet again. It’s the French state that is pitching against itself in this story. Is that it? Just as we thought that there was nothing more to come, Edward Snowden’s father returned after a visit to meet with his son to publically announce that there were more revelations. Snowden had been rather quiet for the past few months and rightly so. The media space was taken up with the trials and tribulations of the US shutdown. Now, it’s the best time for new impact. Valls has also requested an explanation from Washington. But, what is happening is nothing more than the tentative vociferations by a country that will do nothing in the face of the USA. What happened last time when the NSA was revealed to have spied on the EU? Hollande said “we would like an explanation…please” and Merkel said nothing more than “you can’t do that to your friends” or words to that effect. Nobody did much else in the EU as they were more preoccupied by their own state fallout from the sovereign debt-crisis than human rights. To boot, we all know that all countries are doing the self-same thing. Spying is as old as the hills and nearly as old as the other oldest profession. Wouldn’t do any good to shout too much, the people might just hear you leaders and they certainly wouldn’t want questions to be raised about their own eavesdropping on their very own citizens, would they? Valls stated on Europe-1 Radio station: “Rules are obviously needed when it comes to new communication technologies, and that’s something that concerns every country. If a friendly country, an ally, spies on France or other European countries, then that is completely unacceptable”. Mais oui, Mais oui, but what are you going to do about it Monsieur Valls? Is there going to be a duel at dawn after knocking back a good drop of claret? At one time Manuel Valls had stated that despite looking at a request for asylum for Edward Snowden he wouldn’t be in favor of it. Then, it really isn’t worth saying anything. Another example of newspeak? 39% of US citizens believe that Snowden is a traitor, while 35% believe him to be a patriot. It would be interesting to see just how many French people agree with those figures of a divided nation. I thought that Putin had granted asylum on the condition that Snowden would cease damaging the US. That has obviously been thrown out of the Siberian window, hasn’t it? Well, no worries, Snowden is learning Russian and reading Dostoyevsky by all accounts. I wonder what he is leafing through right now? Is it Crime and Punishment or The Idiot? Looks as if Dostoyevsky was made for Snowden anyhow…it could have been any of his books but maybe one has a more fitting title than any of the others: The Dream of a Ridiculous Man. While Cramer exclaimed this morning that his 'cult' stocks were unstoppable, the MoMo names were crushed today (for no good reason) with NFLX, FB, P (late saved by AAPL), and TSLA all monkey-hammered (as rumors of a major option algo going pear-shaped spread). Meanwhile, the S&P rose for the 9th day of the last 10 and closed once again at another all-time high above another magical level – 1750. Markets keyed off the weakness in the jobs report (ignoring the construction spending beat) and ran in a Taper-off-related manner across all assets – USD was battered, Bond yields compressed, Gold and silver soared. Oil prices did not follow the pattern leaking to $97.60 (-3% on the week). Market internals today were very "glitchy" though… EURJPY was in charge once again but VIX remains bid (and higher on the day), and while credit rallied, it remains less exuberant than stocks. Perhaps not so surprising, given the prospects for much of today’s youth (67% of 18 to 29 year olds in favor), Gallup adds that a sizable percentage of Americans (38%) this year admitted to having tried the drug, which may be a contributing factor to greater acceptance. Those who identfied themselves as Democrats were almost twice as ‘in favor’ of legalization as Republicans. It would appear that French-owned Fitch, following its rating-watch-negative shift on the US credit rating last week, has got a tap on the shoulder from the powers that be. As Hollande complains about Obama's espionage, Fitch has released a statement explaining how the USA can do whatever it wants and not be downgraded. With only the Chinese ratings agency "able" to openly comment on the creditworthiness of the USA, it is no surprise that Fitch gave itself an "out" on the basis of the USDollar's exorbitant previlege. Fitch Ratings says in a new report that even for a sovereign with the strongest credit fundamentals, there will be a gross general government debt (GGGD)/GDP level above which Fitch believes its rating is no longer compatible with 'AAA'. This is usually 80%-90%, but can be higher for sovereigns with exceptional financing flexibility, such as benchmark borrowers with reserve currency status. As we have highlighted before, for France, Germany and the UK, this threshold is currently 90%-100%, and for the US, it is currently 110%, provided debt is then placed on a firm downward path over the medium term. Our 80%-90% threshold recognises that sovereigns with (otherwise) 'AAA' characteristics have high financing flexibility and debt tolerance. Nevertheless, such a high level of debt tends to persist and potentially limits the capacity to respond to future shocks. It can also have a negative impact on growth. Fitch gives a 'AAA' rated sovereign some leeway in allowing a temporary rise in its GGGD/GDP ratio before a downgrade. This stickiness also works in the other direction. The ratio needs to be steadily declining before restoring 'AAA' status, if warranted by other credit factors. Debt dynamics would need to be resilient to shocks to ensure that the 80%-90% level is not breached again. This would imply a fall in the debt ratio (not just a projected fall) of around 10pp of GDP or more from the downgrade level and would likely take several years. A larger fall in the debt ratio would likely be required to restore the 'AAA' if the associated shock that precipitated the sharp increase in the debt ratio and downgrade revealed or triggered other negative credit developments such as weakening in the fiscal policy framework or credibility, a worsening in the structure of government debt, deterioration in economic growth prospects or a weakening in political stability or governance. The 2013 median GGGD/GDP ratio for 'AAA' rated sovereigns is 47%, compared with 42% for all Fitch-rated sovereigns. But other credit strengths are sufficient to outweigh the potential drag on the rating from public debt. They typically have debt denominated in their own currency and can issue at long maturity while low interest rates hold down service costs. The trajectory of GGGD/GDP may, at a particular time, be the key driver of rating actions for 'AAA' or 'AA+' rated sovereigns. However, ratings reflect the strengths and weaknesses of many factors, not just public debt. Thus rating actions can bite at various GGGD/GDP ratios. Life-size silhouettes of 85 seventh graders bring the main corridor of Whitewater Middle to life, each revealing something special about the student it represents. Language arts teacher Danna Taylor came up with the idea as she was settling into her new classroom before the start of the school year. Taylor, who was a teacher at the former Fayette Middle School, had all but finished decorating her room when she realized she had a blank wall with nothing to go on it. She quickly came up with an idea of putting silhouettes of her students on the wall.